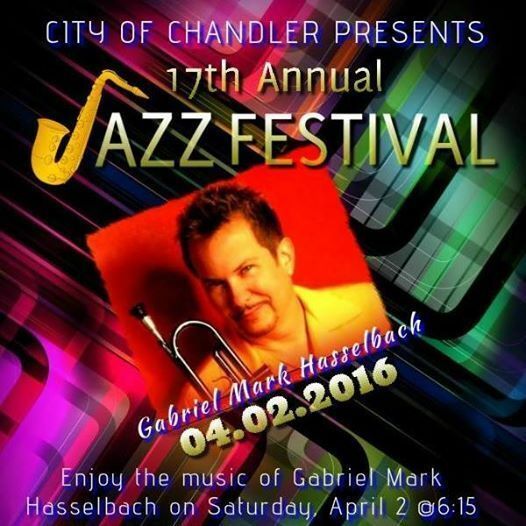 I'll be in the Phoenix area for the Chandler Jazz Festival this weekend on Saturday April 2 with the fantastic Lamar Gaines on keys, Will Gaines on bass, Buddy Banks on drums, and Adam Armijo on guitar. I also have some great sponsors who came on board, such as Michael Lyles, owner and featured voice of Smoothjazzontherocks radio; Chuck Kelly, my friend and personal State Farm agent in AZ; Doug Hoxeng and Opa Life; and Chris Shea and Tromba Instruments. This will be an awesome festival in South Phoenix area! Come on down and soak up the vibe..... April 2 at 6:15 pm. The Main Stage is located in Downtown Library Plaza - 178 E. Commonwealth Ave., south of Chandler Blvd and east of Arizona Ave. I'll be rocking my Tromba Hybrid Ultralight horns! Got good press too! Next Saturday April 9 I will be back in Vancouver at Ten Ten Tapas for our rollicking format there. Come welcome me back! Below is a sample of last week's show at Frankie's Italian Kitchen, where I will be again July 15. 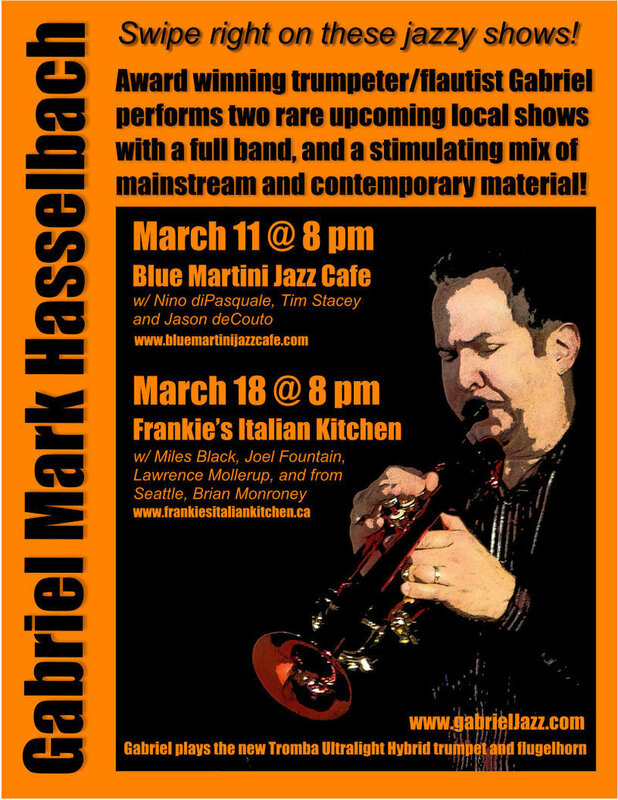 Two rippin' jazz shows this weekend! For those of you who missed last Friday's show at The Blue Martini, here is your chance to partake of the funky and swingin' sounds you didn't hear.